This poster is 11 x 17. I made it myself, but am charging nothing, as I know it's an idea that's already out there. 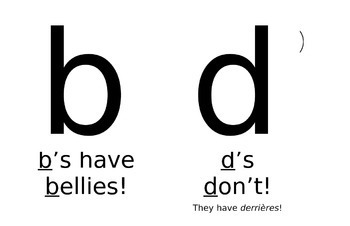 You will want to add a face to the circles on the b's and d's. I made the person look like myself.